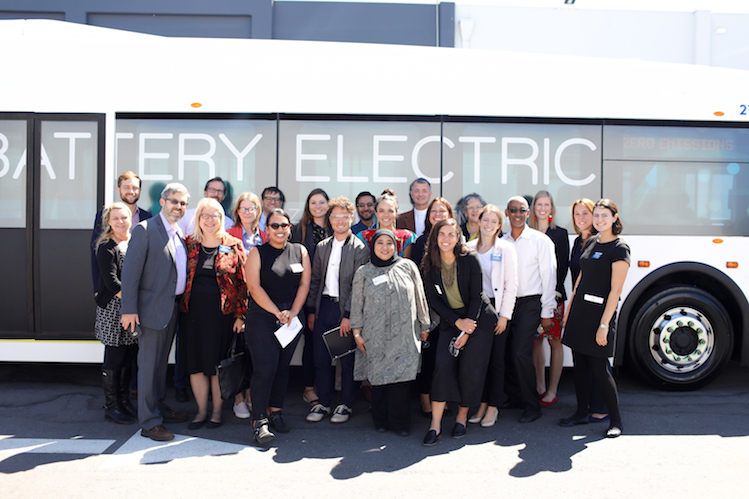 Yesterday, I headed out on the BART to Millbrae, then biked down to Proterra in Burlingame, where Environment America hosted a States Plug-In to Electric Buses tour inside the Proterra electric bus factory that was led by Kent Leacock from Proterra, which followed presentations from Alana Miller and Andrea McGimsey from Environment America, among others. Although no photos were allowed on the factory tour, here are just a few highlights from the electric bus ride. Thank you to Public Interest GRFX for having me document coverage of the event! Last Wednesday, Bhava Communications and PRSA San Francisco co-hosted a panel event at the Parlor inside The Battery that centered around a meta conversation about the conversation about how diversity, inclusion, and women in tech are being represented in the media, the challenges that come with it, and what to look forward to in 2018. On October 10th, Bakespace.com hosted the 3rd TECHmunch food blogger conference at Cross Campus in Santa Monica. I'm super excited to photograph coverage of Silicon Beach Fest: Downtown LA 2015 for Digital LA this Friday from 10am-6pm. See the full lineup here. The all-day event is taking place during LA Innovation Week at Cross Campus's new Downtown LA campus at Wilshire + Flower, and we'll get a sneak preview before it officially opens in 2016! Afterwards, TechZulu will host their awesome Tech Crawl that will start at Cross Campus DTLA and head over to NationBuilder and rhubarb studios (sign up here and view the walking map). Follow @DigitalLA and @TechZulu on Twitter and use hashtags #SBF15, #TechCrawl and #LAIW2015. 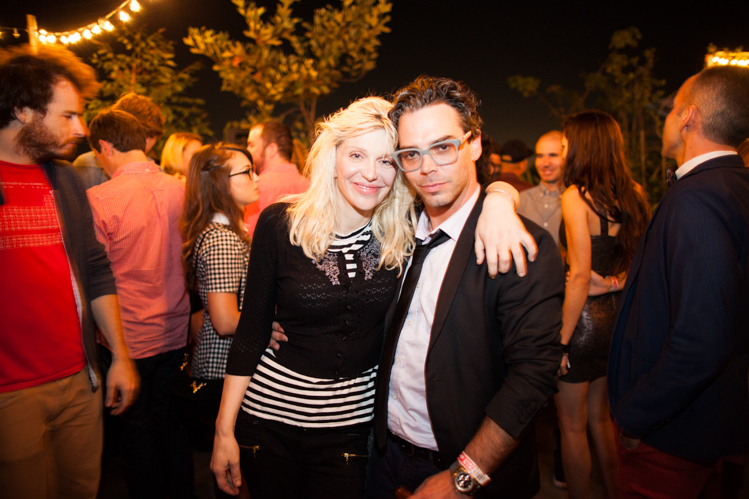 See photos from past Silicon Beach Fest and Digital LA events. 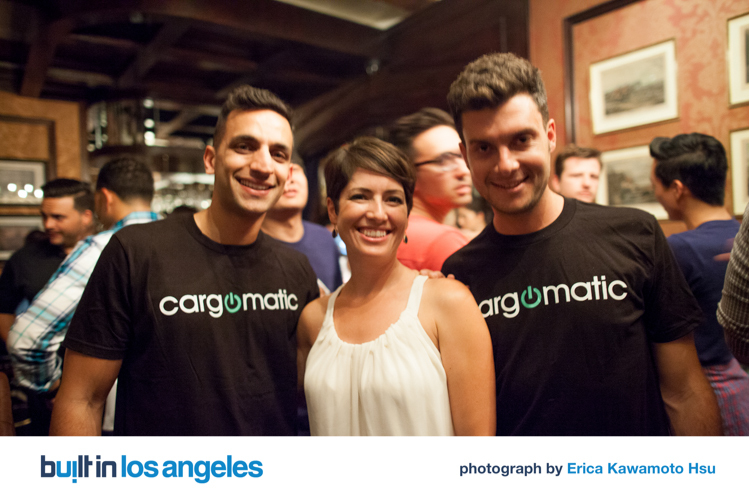 Also check out photos from past Tech Crawls in Venice, Santa Monica, and Hollywood. Hope to see you! 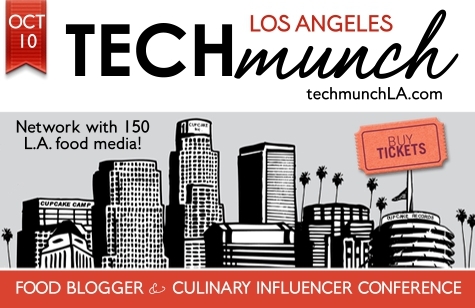 This Saturday, October 10th, I'll be photographing coverage of TECHmunch Los Angeles, hosted by the twice webby-nominated BakeSpace.com, founded by video producer, Babette Pepaj. The national traveling food bloggers conference will kick off all day from 9am-5pm at Cross Campus Santa Monica. I'm particularly excited to see and hear Evan Kleiman, Host of KCRW's "Good Food," talk podcasting for the Podcasting: How to Tap Into Your Community Through Storytelling panel! There will be food and drink from Mendocino Farms and more. Read the full line-up here. If you're about to buy your ticket, you can enter techcandid to receive a 15% off discount before checkout. Hope to see you there. On the first of October, I went to see an old friend Roseli, hear a Q&A with Sophia Amoruso, and catch Phases perform, all at the new Nasty Gal store on the 3rd Street Promenade, in celebration of the paperback launch of #GIRLBOSS. Roseli, who designs her own line of artisan-crafted textiles for Ilano, introduced me to a few of the other female creative founders, including Deena of Nouvella and Alicia + Natasha of Aeline, who are among the talented women building their creative businesses to receive grants this year through the #Girlboss Foundation. Just recently, Built in Los Angeles hosted 15 of LA's fastest-growing tech startups that are hiring, along with startup job seekers, to meet and learn about each company's unique culture and job openings at The Wellesbourne in West LA. Next Thursday night, Sept 10th, I'll be shooting coverage at Built in LA's "Meet LA's Fastest Growing Startups" event at The Wellesbourne in West LA. From startups like Omaze to FabFitFun, the already sold-out event will showcase 15 of LA's top hiring technology startups and give prospective candidates an opportunity to meet them face-to-face and get to know their culture and open positions. I'm excited to cover the event and see you there! 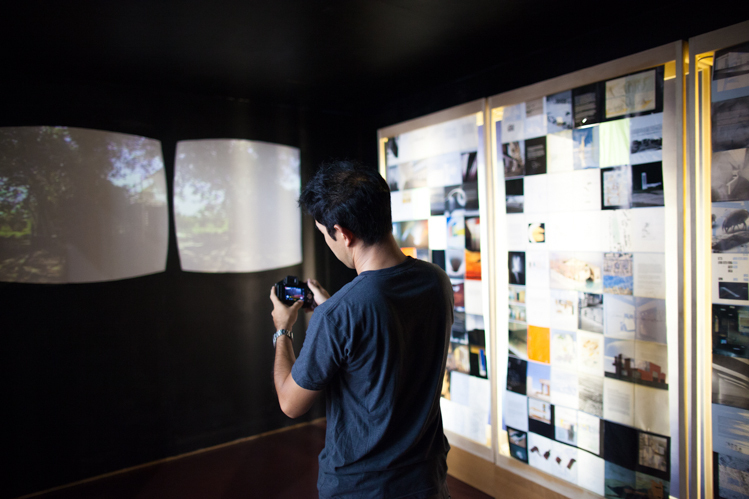 LA based mixed media artist Mike Saijo began developing his interactive VR (virtual reality) installation, One and Three Parallax Views, in early April after he was invited by Friends of Redondo Beach Arts to participate in their 4th annual CA 101 2015 art exhibition. Featuring roughly 126 selected artists, the group show was held inside the AES Power Plant, a large 'industrial cathedral' pop-up gallery, from its opening reception on July 31st through August 9th. 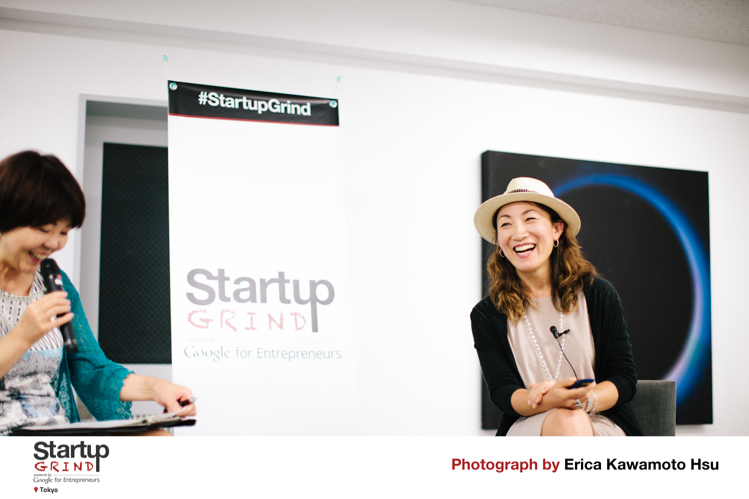 In June, Startup Grind Tokyo hosted a fireside chat moderated by Tamami Ushiki, Tokyo director of Startup Grind, and featuring Emi Takemura Miller, co-founder of Peatix, a global event registration platform and mobile ticketing startup that launched in Japan to give organizers "tools to create, promote, and sell out" their events. After expanding its offices to New York and Singapore 2 years ago, Peatix recently landed a $5M Series B round to grow its presence to more cities worldwide. Held inside TIP*S / 3x3 Labo, Emi shared her Peatix startup journey in a conversation in Japanese with Tamami that you can listen to here. 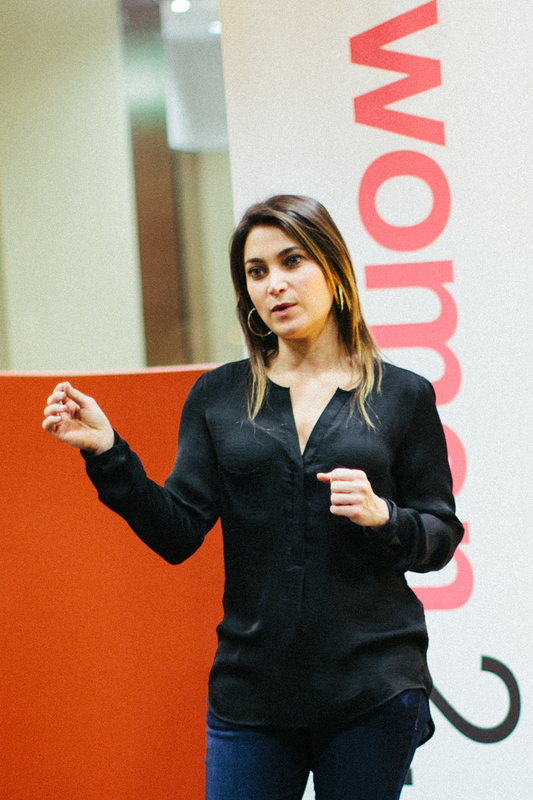 The event was originally part of #SGWomen, a global event series celebrating female founders of tech startups. 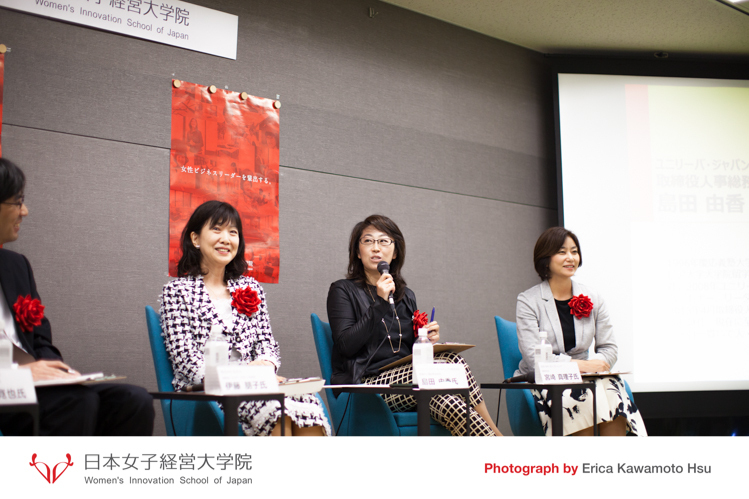 In May, the Women's Innovation School of Japan held their 2nd forum in Shinagawa, Tokyo, on the topic of achieving work-life balance in Japan. 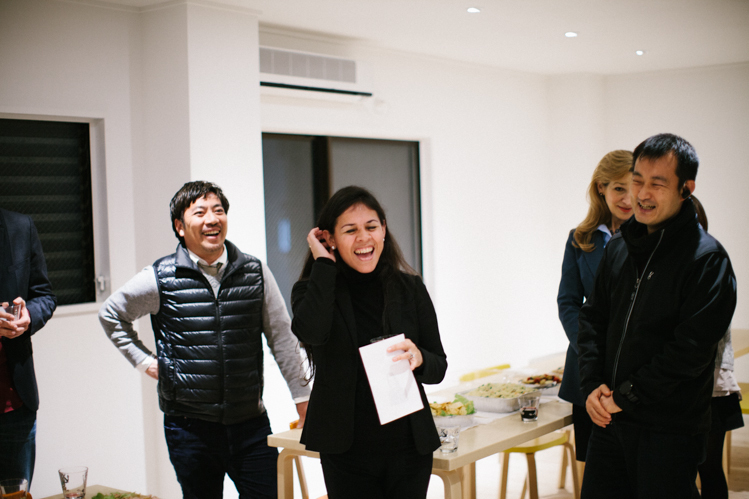 Here are candids from the forum that included opening remarks from founder, Takako Kawakita, and culminated with a speaker panel, featuring Kanya Shimoji, Tomoko Ito, Yuka Shimada of Unilever, and Mariko Miyazaki. 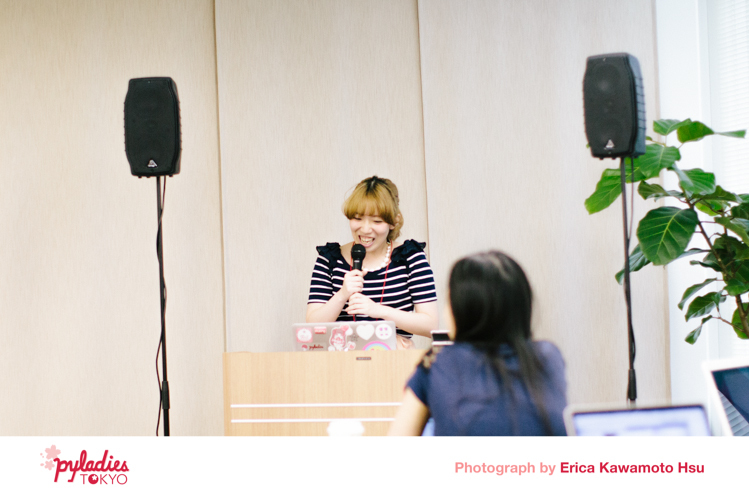 Last Saturday, I documented an all-female Git for Beginners meetup co-produced by PyLadies Tokyo and Javajo for women engineers, programmers, and beginners learning to code. Held at ALBERT's new location inside the Shinjuku Nomura Building, members from each group taught different aspects of GitHub. Afterwards, we went out together for a nomihodai, or an all-you-can-drink, and shabu-shabu dinner. 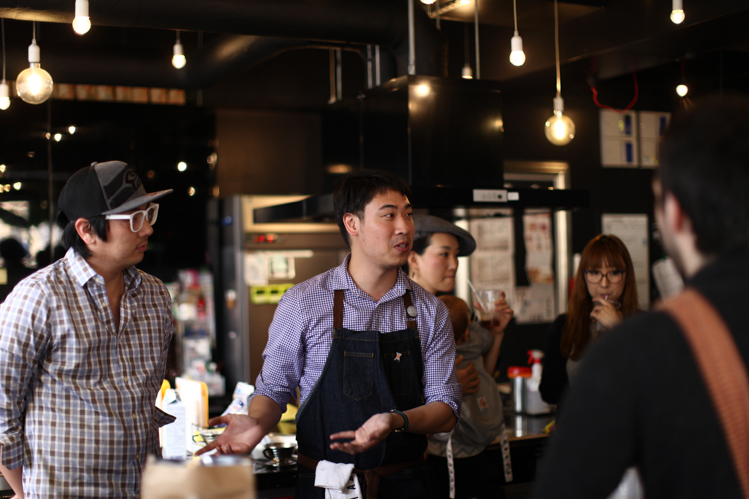 A few weeks back, Vincent, a Canadian and aspiring coffee entrepreneur I'd met at a Global Speakeasy, held a coffee pop-up event at Ryozan Park in Sugamo. After a screening of A Film About Coffee, Vincent and his friend Kevin served coffee he'd brought back from his favorite American third-wave coffee roasters from Brooklyn. Afterwards, a group of us took a tour through Ryozan Park with the founders, Rachel and Noritaka. 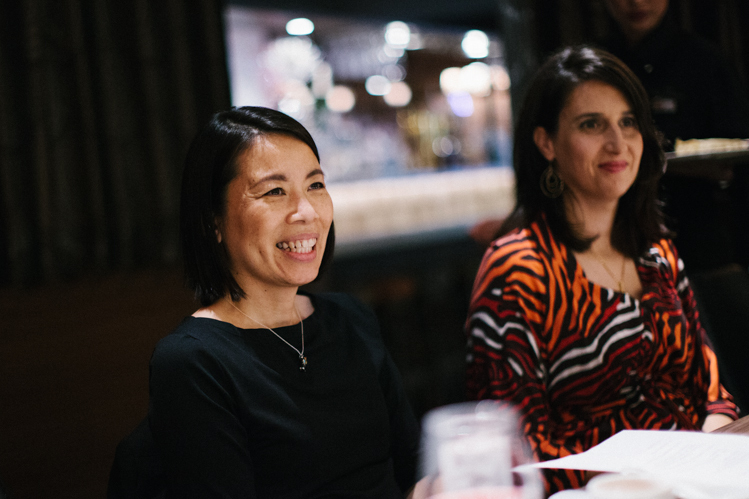 Last week, I joined a Women in Technology Japan (WITJ) dinner in Roppongi to help kick-off planning for the year ahead. 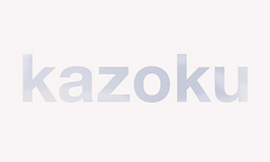 Made up of an international group of women, the members were all longtime residents of Tokyo, who hailed from Australia to Malaysia, and have either engineering backgrounds or hold executive roles at leading information technology or enterprise-level companies. Before arriving in Japan, it was nearly impossible to find any tech conferences and events in Tokyo where women were visible, especially as keynote speakers. I knew they existed, as many of my female friends in Tokyo work in IT. That's when I googled "women in tech japan" and found an organization working to close that gap. This week, I joined a Global Speakeasy dinner hosted at the Scandinavian Center in Akasaka, Tokyo. 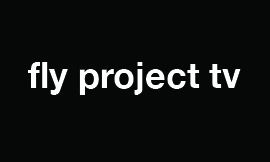 The pop-up event series is part of an interactive platform currently being prototyped by Todd Porter, who's also helped launch TedxTokyo and the now global FabCafe. Here are a few candids from the dinner prepared by Bob, who's wearing the shirt with red maple leaves or momiji 紅葉, featuring a few words from Moomin International Kindergarten founder, Barbara Zamora Väätäjä. 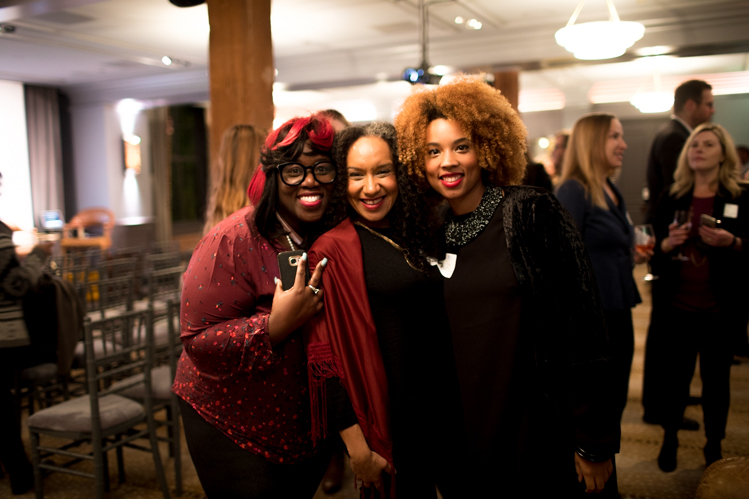 At the Helm and founder, Alaia Williams, hosted the 4th annual At the Helm: Women In Biz 2014 conference this past October at General Assembly LA in Santa Monica. The day featured speakers, including Amber L. Wright, Dr. Jennifer Jones, Margalit Ward, Kelly Alexander, and Greg Hartle. There was lunch from Lemonade, followed by breakout sessions with Nidhi Lucky Handa and Julie Rose. I'm excited to shoot coverage at the next REACH | Byte into the Future of Now event coming up this Thursday, Nov. 13th at Tastemade in Santa Monica! Hosted by TechZulu and Gadget Review, there'll be tons of new gadgets to demo in the Tastemade kitchens, grub, drinks, and $6K+ in prize giveaways. Visit the event page to buy tickets (get $10 off on the TechZulu Facebook page) and follow #REACHNow for the latest updates. 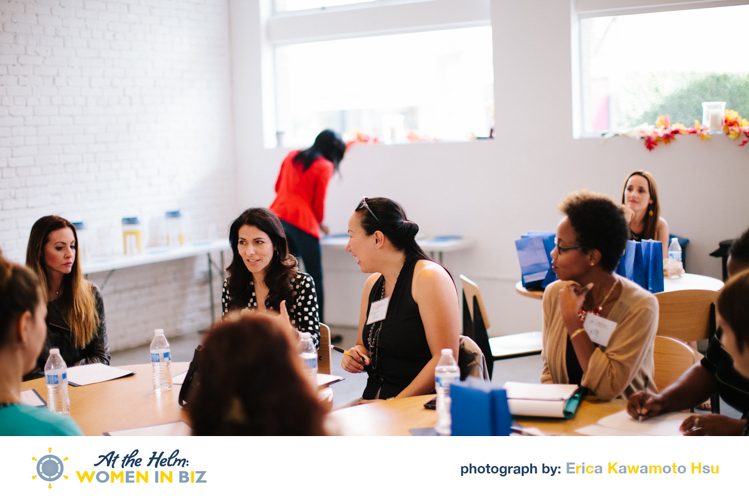 I'm super excited to participate in the upcoming At the Helm: Women in Biz 2014 conference as a sponsor! The event will take place October 25th at General Assembly LA in Santa Monica, and will feature speakers and breakout session leaders including Amber L. Wright, Dr. Jennifer Jones, Kelly Alexander, At the Helm founder Alaia Williams, and Nidhi Lucky Handa. 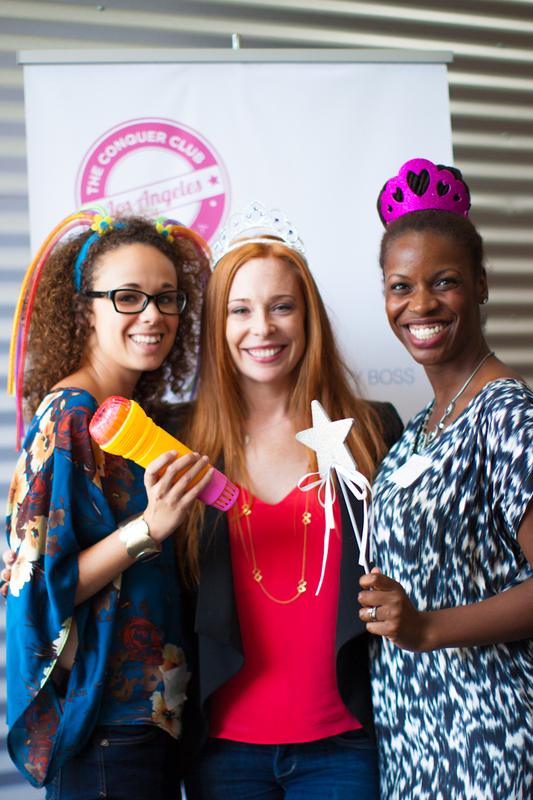 Last Thursday, the Downtown Women's Center held their annual Dinner With a Cause at the JW Marriott L.A. Live. The event honored longtime CEO Lisa Watson and successfully raised over $800,000 for their programs to end homelessness and poverty among women on Los Angeles' Skid Row. In September, What's Trending and Tubefilter presented their 3rd Annual Social Media Week Los Angeles "Social 25" honoree party in honor of social media's top 25 influencers. Here are highlights from my photo coverage of the event, produced by 30 Miles North and @KurtyD at 800MAIN, and featuring music by Templeton, Slim Chillers, blowtorched s'mores and donuts by Fill r Up, and more. 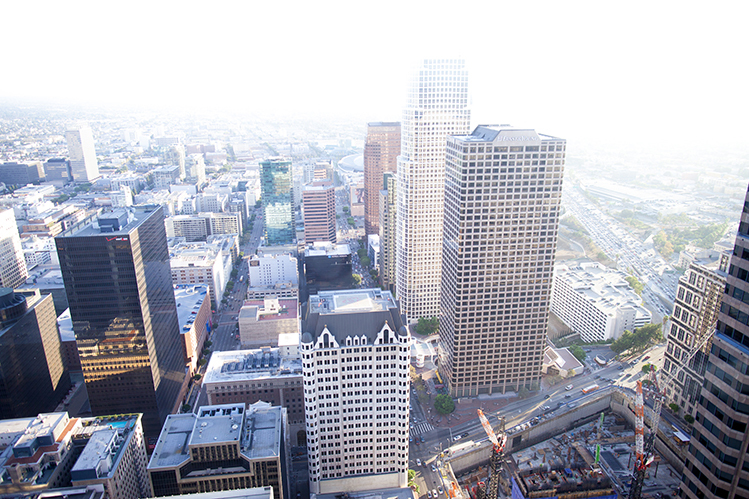 Photographing coverage in Downtown Los Angeles today for Karlin Ventures. 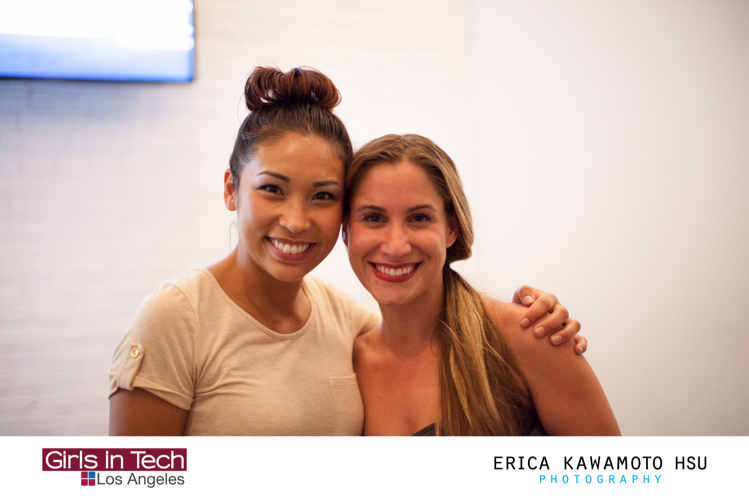 Girls in Tech LA hosted a Summer Sip mixer this August at General Assembly Los Angeles in Santa Monica. Here are a few highlights, including old-fashioned cocktail Jell-O shots by Ludlows Cocktail Co. (by co-founder of Coolhaus, Freya Estreller), raw superfood truffles by GoodBites, and a raffle giveaway from Belkin and Honest Company. 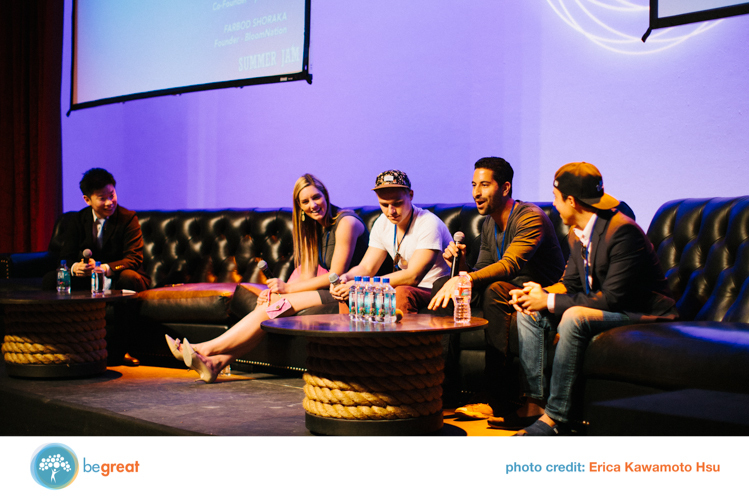 Leading LA startup incubator, Be Great Partners, hosted their #TechLA Summer Jam 2014 at the historic Mack Sennett Studios in Silverlake. Here are photo highlights from the day-long conference, featuring speaker panels, #BeGreatCup startup competition, and after-party. 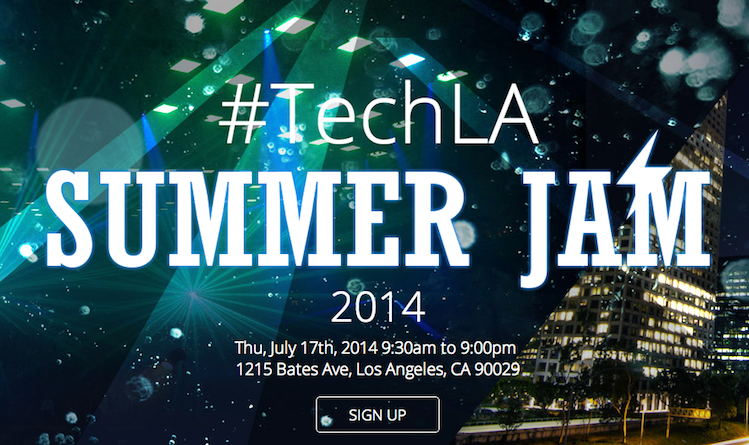 I'm excited to photograph coverage of tomorrow's #TechLA Summer Jam 2014, hosted by Los Angeles startup incubator, Be Great Partners. The conference will take place at LA landmark, Mack Sennett Studios, has 1500+ attendees signed up to hear 35 speakers from 500 Startups, Two Bit Circus, Pritzker Group, RYOT and others, plus 50 startups will compete for this year's Be Great Cup. To sign up and read the full event details, go to Be Great's event page here. Looking forward to seeing you there. 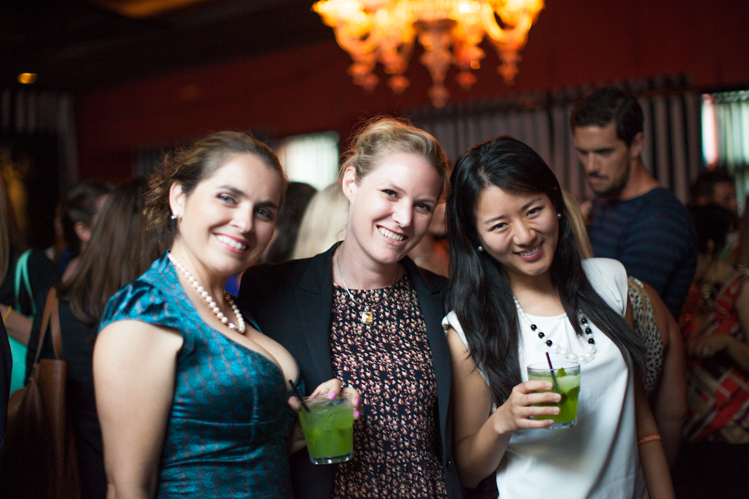 Host, Nanxi Liu, CEO of Enplug (top right) with L.A. Women in Tech Night Out attendees. 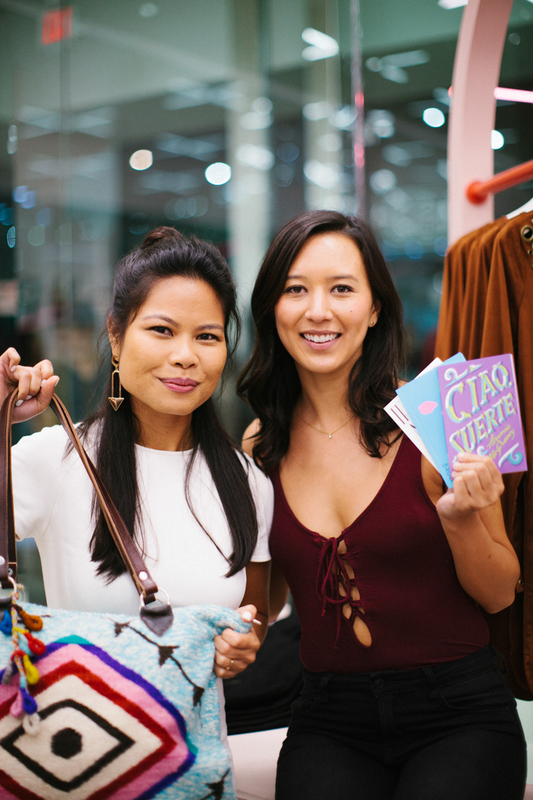 Los Angeles startup incubator, Be Great Partners and Enplug CEO, Nanxi Liu, hosted an L.A. Women in Tech Night Out this past Wednesday at the Sofitel in Beverly Hills. Here are photo highlights from the packed event. With an impressive turnout, the event attracted a diverse group of both men and women to meet one another, enjoy some delicious mojitos, and talk tech and startups. 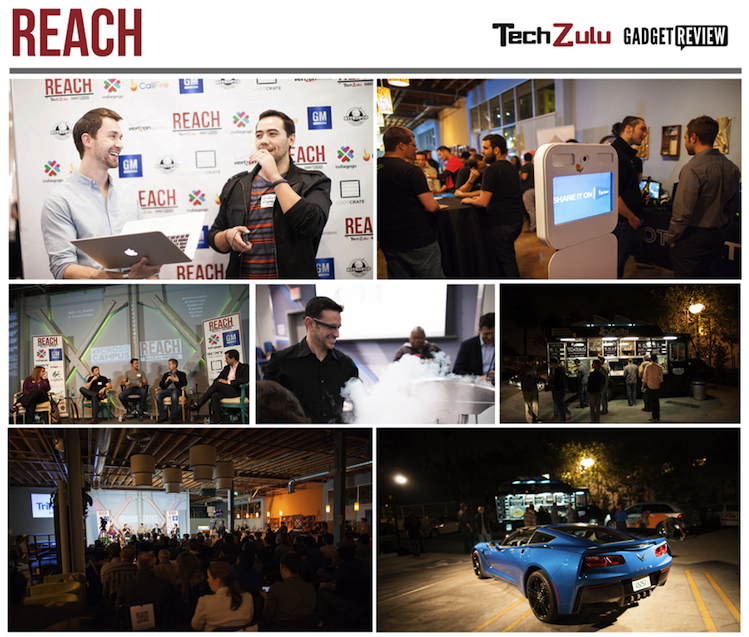 Last Thursday night, TechZulu and Gadget Review hosted REACH | The Wearable Future, or #REACHWearables, at Cross Campus' new location in Santa Monica. Here are highlights, including a showcase of wearable tech by Muse, Melon, OwnPhones, TouchT, PetBot and others, as well as up-and-coming startups like Postmates delivery service and the world's first 3D pen, CreoPop. LA Times' tech reporter Andrea Chang led a panel with speakers including ShotTracker's Davyeon Ross, the Calbi Truck gave out free tacos, and TZ and GR gave away over $4K in prizes. 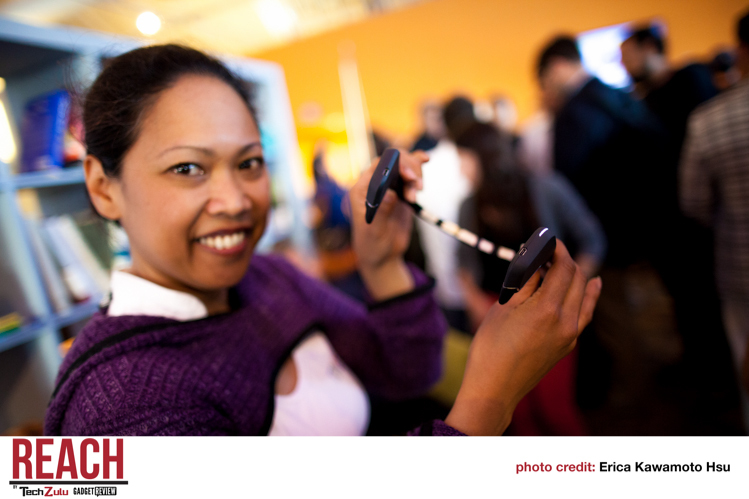 I'll be photographing TechZulu and Gadget Review's REACH | The Wearable Future event tonight at Cross Campus in Santa Monica. LA Times tech reporter, Andrea Chang, will lead a speaker panel from 7:30pm featuring Ben Bateman of Indiegogo, Anna Jen the director of new ventures at Epson, Todd Harple of Intel's new devices group, and Davyeon Ross, co-founder of ShotTracker. A mixer will follow the panel from 8:35pm, and there will be free tacos from The Calbi Truck and over $4K in tech gadget giveaways. 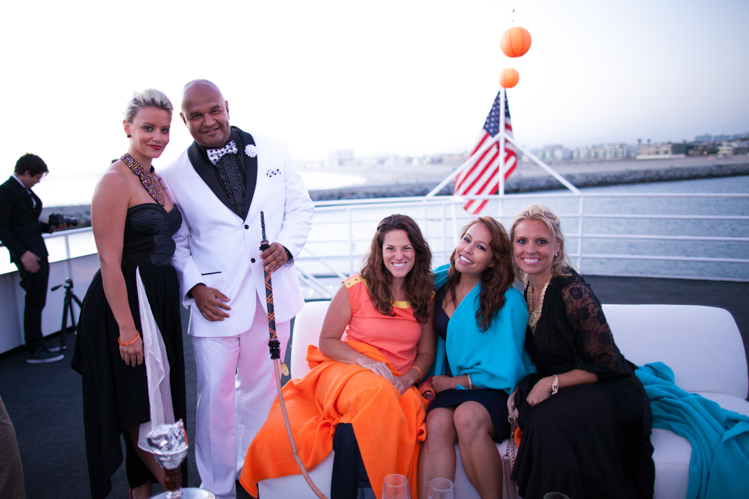 L.A. tech startup incubator, Be Great Partners, hosted their Be Great At Sea startup yacht party last week with 300 startups and entrepreneurs aboard Marina del Rey's largest private yacht, the FantaSea One. I'm super excited to photograph tonight at Be Great At Sea, a mega startup yacht party in Marina Del Rey, hosted by startup incubator and accelerator, Be Great Partners. The event will bring together 300 LA startups and entrepreneurs, with a host committee of startups including MeUndies, Enplug, BioBeats, DogVacay, TaskUs, Surf Air and others. For details, go here. Stay tuned, I'll be sharing photos here on Tech/Candid. 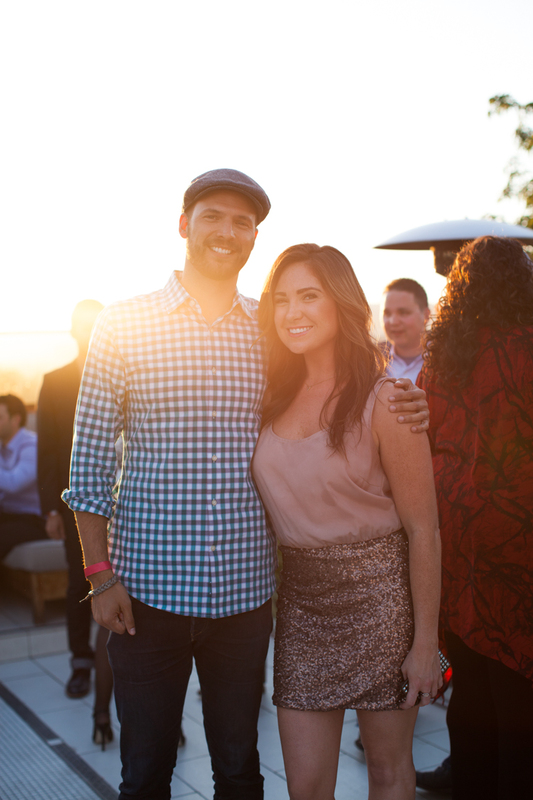 LA-based startup accelerator and incubator, Be Great Partners, behind startups like change.org, Enplug, and MeUndies, held their LA Startups Spring Social atop the Roof on Wilshire, just two blocks away from the Be Great office and coworking labs. Set poolside, surrounded by a 360 degree view of the city, the event brought together a happy crowd of tech startup founders, entrepreneurs and investors. We had a blast. Here are photos I shot up on TechZulu's Facebook page, plus the video produced by Gabriel Soufo above, featuring interviews with REACH hosts Efren Toscano, founder of TechZulu, and Gadget Review founder Christen da Costa. Join TechZulu and Gadget Review tomorrow as they host and celebrate their 2nd REACH event and TechZulu's 6 Year Anniversary at Dave & Busters' new LA location in Westchester. REACH will feature panels on cleantech, gaming, wearables and more, and the lineup will include keynote Cody Simms of startup accelerator, Techstars, plus speakers from Two Bit Circus, Indiegogo, Wearable World, and UCLA Institute for Innovation among others. We're excited to participate as a sponsor. See more photos from the last REACH event here and register here to attend. Hope to see you tomorrow! 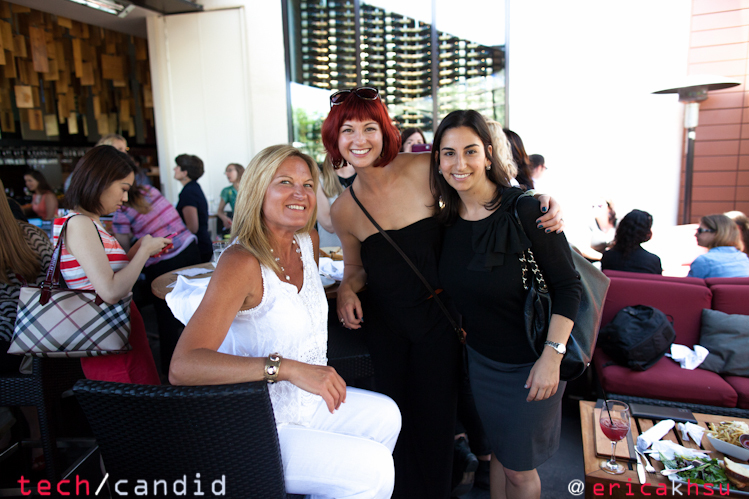 On Friday, founder Tina Hay spoke at the Women 2.0 Founder Friday Los Angeles event at the Regus. In an intimate group, Tina shared her experiences as a real-life founder of her startup CardBlanc, a secure and free virtual debit card app now in early-access beta, addressing topics including the most important thing to focus on when you're developing a minimum viable product (MVP), challenges of raising funding, how to protect your startup in its early stages, the pros of hiring good people and cons of hiring based on price, and other lessons and common pitfalls to avoid when starting up. 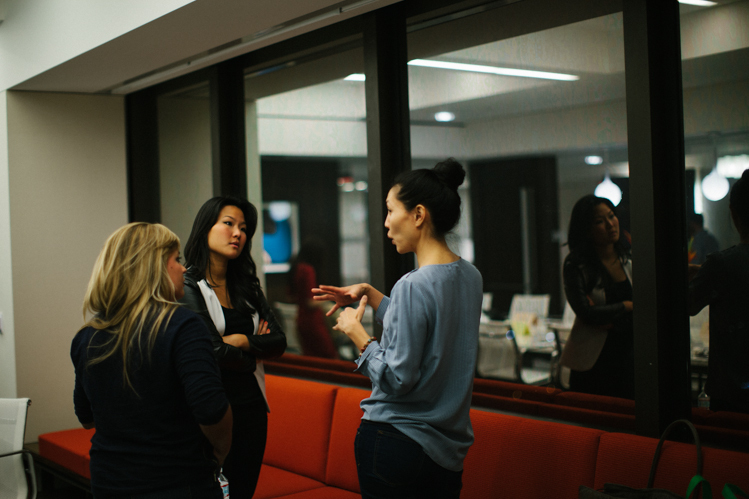 The Women In Tech Network (WITN) kicked off its 2014 planning sessions this week. The planning meeting, hosted by Freeman, Freeman & Smiley and sponsored by Elance, brought together female tech startup founders, entrepreneurs, and professionals across diverse industries, from entertainment, media, finance, law, gastronomy, fashion, and tech to public relations, to produce and organize a series of Angel Investor and VC panel events aimed at connecting more female startup founders with funding, which are slated to take place this Spring and Summer. 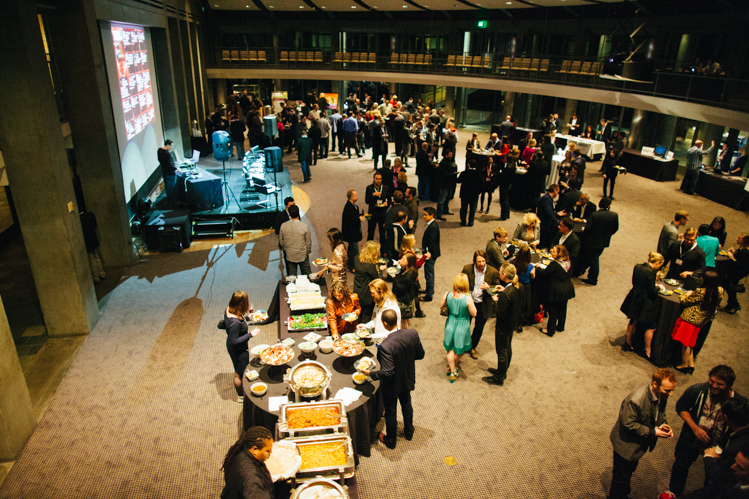 On Wednesday night, the Digital Family Reunion held their 6th annual holiday party at the Skirball Cultural Center in Los Angeles, and celebrated the inaugural socalTECH 50, a list of emerging "up-and-comers" in the Southern California tech ecosystem, boasting founders from some of the heaviest-hitting startups our region has to offer. Chicago-based Techweek kicked off their very first Techweek LA event recently in a large industrial conference space called L3 inside the Santa Monica Place. 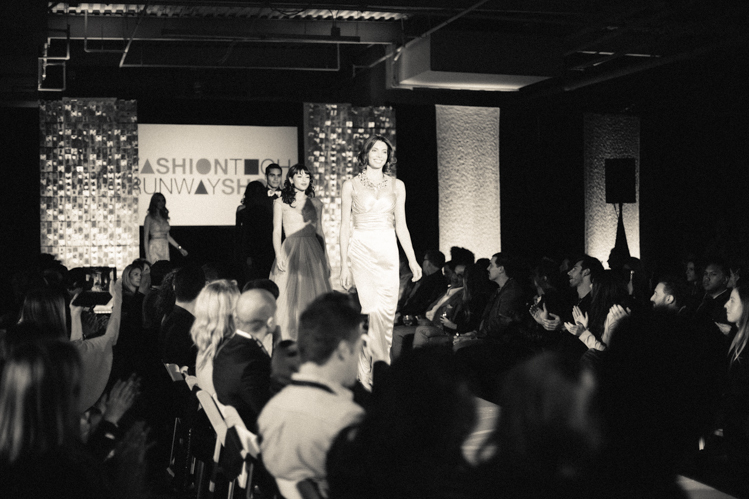 The two-day conference featured a number of speaker panels, a LAUNCH competition with 50 startups, an expo and hiring fair, and culminated with a much-anticipated fashion tech runway show, followed by an after-party at 41 Ocean right by Santa Monica beach. Next weekend, Purina One and GOOD are collaborating with Karma Rescue, an animal rescue nonprofit focused on saving at-risk dogs from "high kill" LA dog shelters, and AngelHack to host a hackathon to brainstorm, prototype, and redesign the Karma Rescue website so it can be easier for adopting pets, reaching new supporters and building their community. 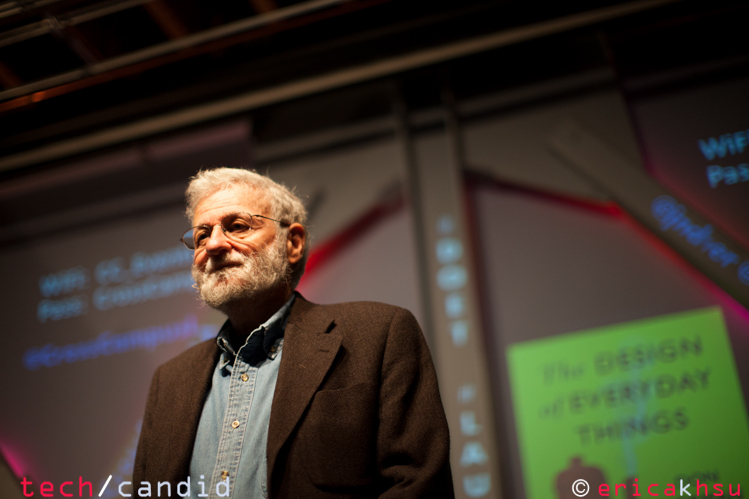 Don Norman, author of a newly revised and expanded The Design of Everyday Things, took the stage recently at Cross Campus for a Los Angeles User Experience (UX) Meetup event organized by Crystal Ehrlich, to sign copies and talk about ideas in his book. 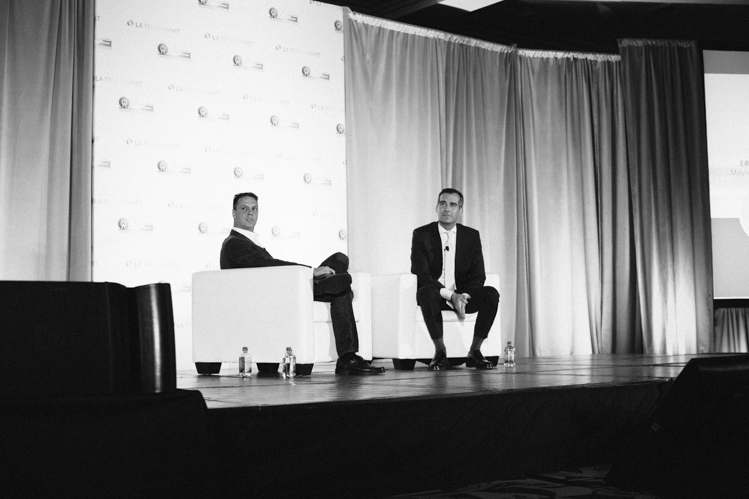 Late last week, the LA Tech Summit, hosted by global human resources software-as-a-service technology company Cornerstone OnDemand at the Fairmont in Santa Monica, kicked off with Cornerstone's founder and CEO, Adam Miller, sitting down for a fireside chat with Mayor Eric Garcetti to talk about the future of Los Angeles tech. The LA Tech Summit will take place tomorrow at the Fairmont Miramar in Santa Monica, and it will feature a lineup of digital leaders, many homegrown and from the Bay Area, that will kick off with a fireside chat with LA mayor, Eric Garcetti. I'll be covering Techweek LA Nov. 21-22 at L3. I'm happy to see so many female founders + women in tech lined up to speak on a wide range of topics, from fashiontech to gaming to the future of media. 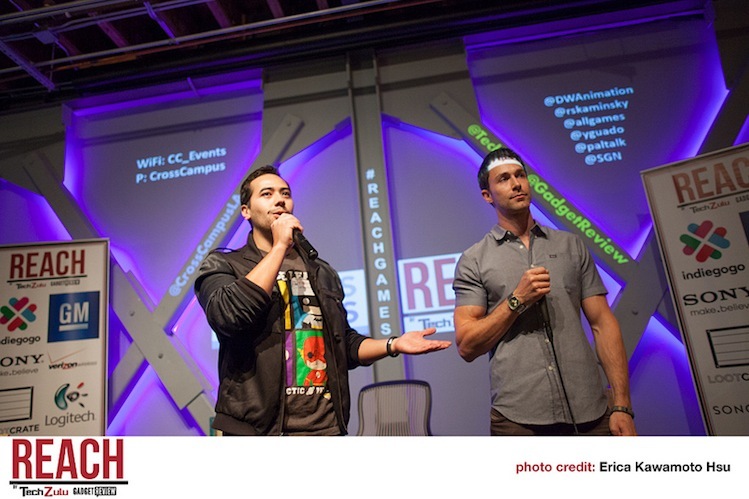 Last Friday, Digital LA held a Fall 2013 startup fashion show at Cross Campus in Santa Monica. I captured highlights from the catwalk, which featured new fall designs from local LA startups, including costumes and sports clothing designer, ShapeShifterZ, featured above. 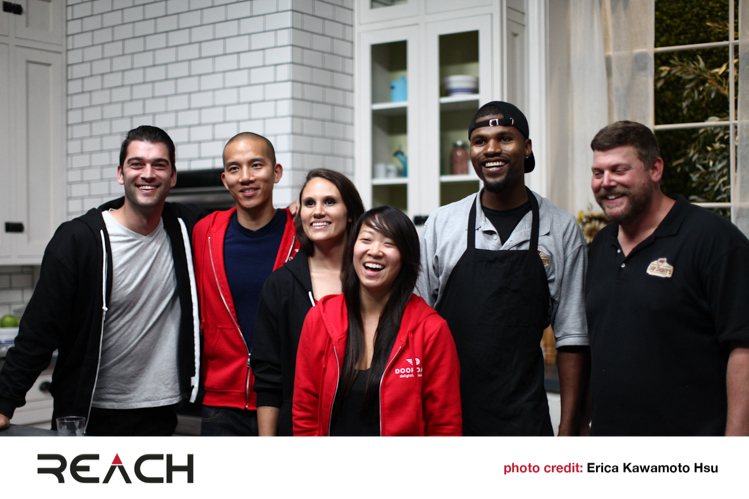 Here's the full set of photos from TechZulu and Gadget Review's #REACHgames event we sponsored. Highlights included a gaming panel, free tacos from the Calbi Truck, and tons of giveaways and prizes. Check out photos here and here. We're super excited to be doing official event photography for TechZulu & Gadget Review's upcoming REACH | Disruptive Technologies Impacting the Future of Gaming at Cross Campus on Thursday, October 24th at 7pm. REACH is a quarterly event series diving into what's coming next in tech and giving you the opportunity to experience gadgets first-hand. The event will bring together gaming tech enthusiasts, influencers, creators, and developers to discuss the next evolution of gaming. Sign up and view the full event details. We'll share photos here on Tech/Candid, so stay tuned. 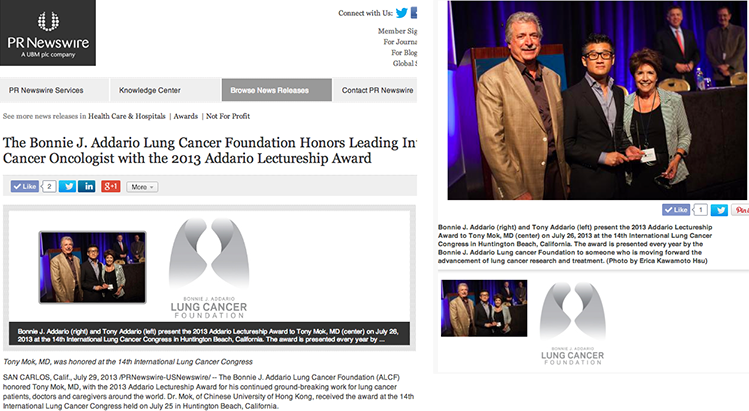 This summer, I photographed two full-day conferences for Physicians' Education Resource®, LLC (PER®), the 12th Annual International Congress on the Future of Breast Cancer® and the 14th Annual International Lung Cancer Congress® at the Hyatt Regency Huntington Beach. Coverage highlights included speaker panels and Q&A, faculty headshots, participants mingling, the Sixth Annual Addario Foundation Keynote Lecture by Tony S.K. Mok, and the 2013 "Giants of Cancer Care" reception to honor pioneers making landmark achievements in oncology. 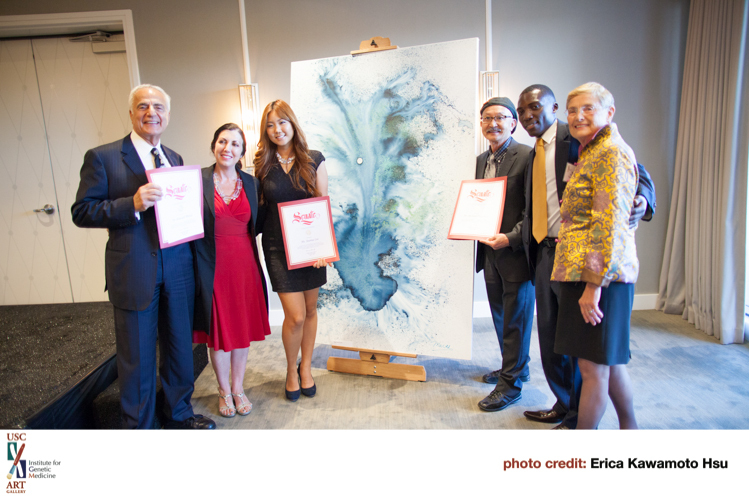 Earlier this summer, Dr. Howard Murad, in collaboration with USC Institute for Genetic Medicine (IGM) Art Gallery and Keck School of Medicine, hosted an art exhibit "Creating a Healthy Life" at the Manhattan Country Club. Here are highlights from the event. Silicon Beach Fest just wrapped over the weekend. Here are some highlights from events I attended last week, including the Digital Women Luncheon, opening party, fashion tech panels, and the Women Developers panel. 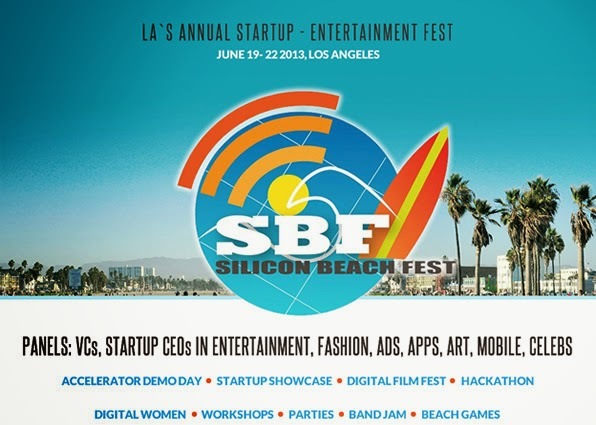 I'll be covering Silicon Beach Fest, which starts tomorrow Wednesday, June 19th and goes through Saturday, the 22nd, in different locations in Santa Monica. For details, visit their website and view their full schedule and speakers. 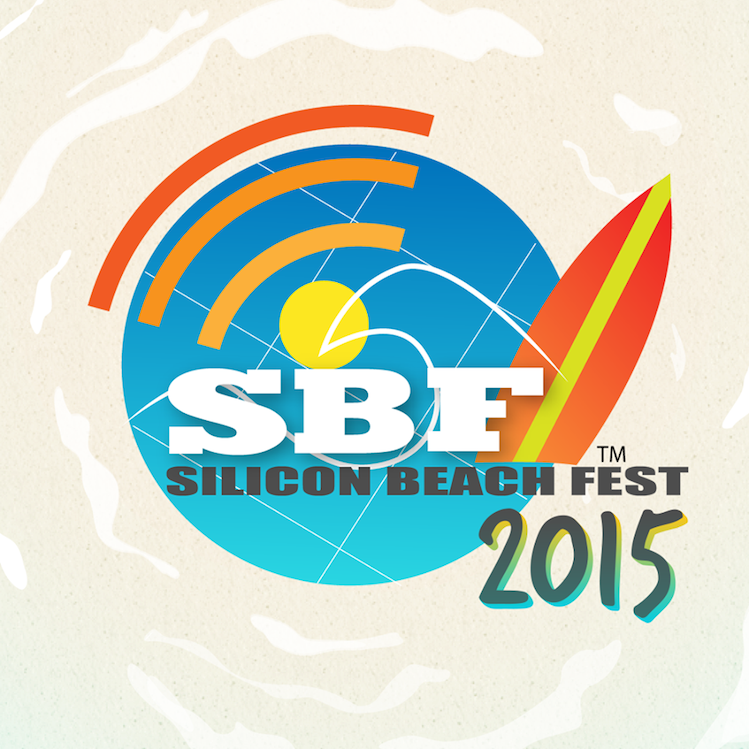 Find additional updates on their Facebook and on Twitter @SBFestLA and follow event hashtag #SBF. This is my first Silicon Beach Fest. Hope to catch you there! 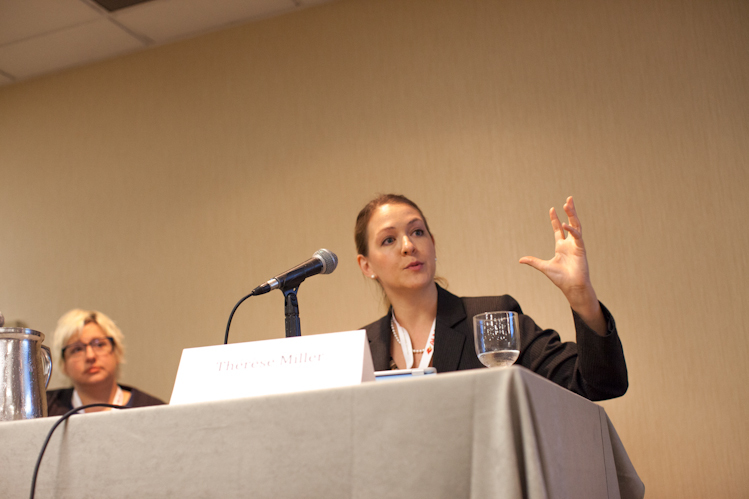 Therese Miller, Of Counsel, Shook, Hardy & Bacon (right). I recently shot the LegalTech West Coast 2013 conference, an ALM event, for the Los Angeles-based video production and content marketing agency, 4WT Media. Here are a few shots from the conference, including keynote by D. Casey Flaherty, Corporate Counsel for Kia Motors, speaker panels, and a Cisco code of conduct discussion with Law Technology News Editor-in-Chief, Monica Bay. Gracious hosts, Donna Queza (left) and Nailah Blades (right) with speaker, Dr. Danielle Dowling (center). 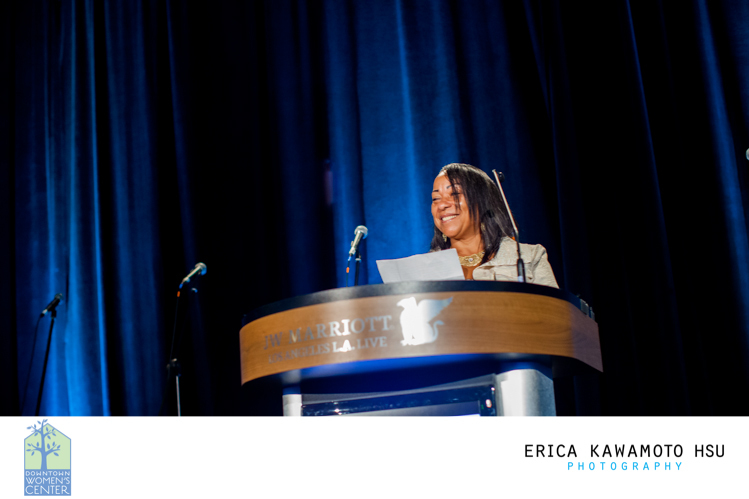 On April 12th, I had an exciting opportunity to shoot the Renegade Women's Conference as an official sponsor. The inspiring all-women business conference, co-organized by the gracious business coaching duo, Donna + Nailah, brought together diverse women entrepreneurs and business owners of all levels to hear from phenomenal speakers and panelists, including Escape from Cubicle Nation author Pamela Slim, the soulful relationship expert and life coach Dr. Danielle Dowling, and Emmy award-winning Natalie MacNeil founder of She Takes on the World. 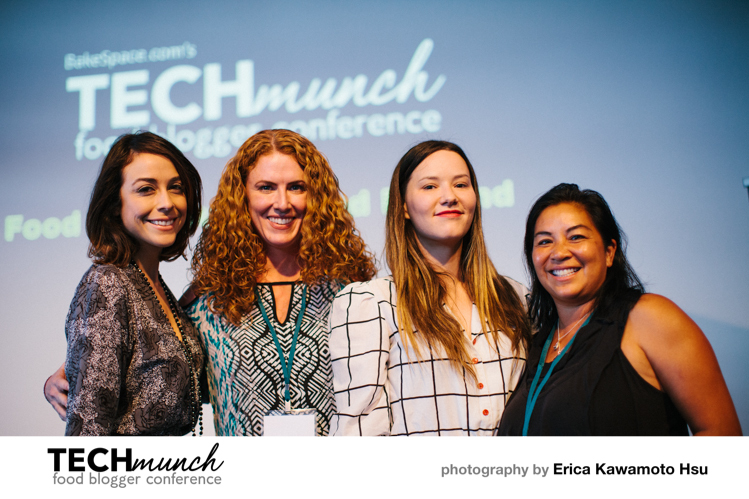 Welcome to tech/candid, featuring candid photography coverage of major events and conferences with a focus on documenting women, innovation, and social impact in the San Francisco Bay Area, Los Angeles, and Tokyo. Erica is a photographer and the editor of tech/candid. She has shot documentary coverage for The Kresge Foundation, Downtown Women's Center, Westridge School for Girls, TechZulu, Amazon Alexa, Arcade Agency Tokyo, and Women 2.0. Women 2.0 PITCH Conference 2013 "The Next Billion"
All graphics in layout are created solely for tech/candid. 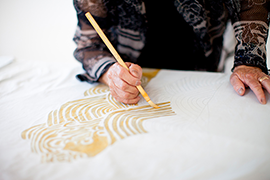 All photos are copyright of Erica Kawamoto Hsu. Please credit all photos "by Erica Kawamoto Hsu" and link back to the original post. 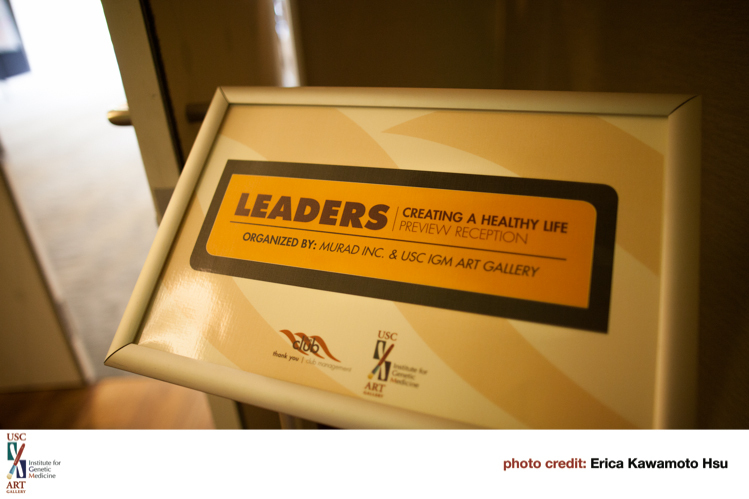 To feature my photos or text in your blog or website, please contact me first at erica@ericakhsu.com. All rights reserved. © Tech/Candid, Erica Kawamoto Hsu 2011-2019. Powered by Blogger.